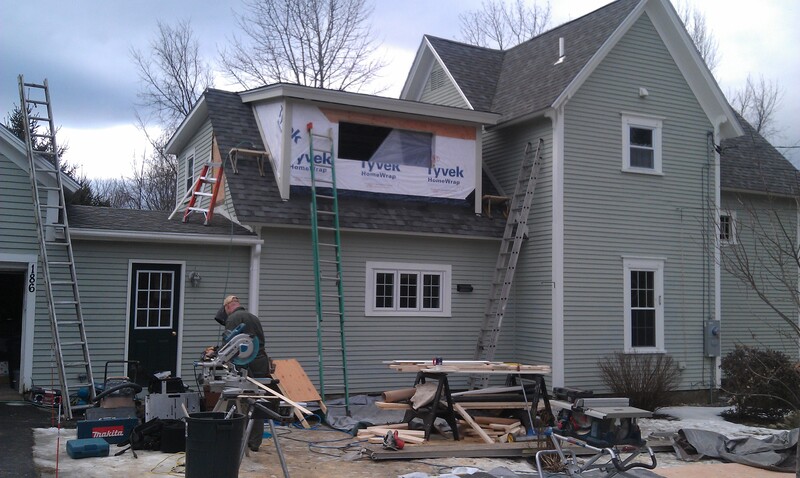 Keith and Jeremiah have been working hard to remove the existing roof and build the dormer on this Bedford NH house. Right now we have the addition framed and the shingles are installed on the roof. We are currently waiting for the window to be delivered by Harvey Industries, we are installing three awning windows mulled together to make one unit. Next the siding will be installed and the interior walls will be built so the plumber and the electrician can rough in their portion. Everything is looking great, can’t wait to see the siding and window in.